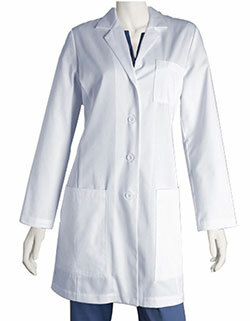 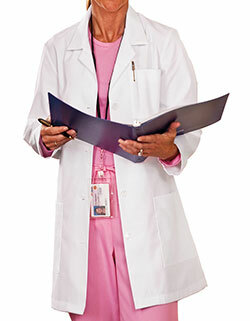 The missy fit notched collar women's lab coat is all about comfort and style. 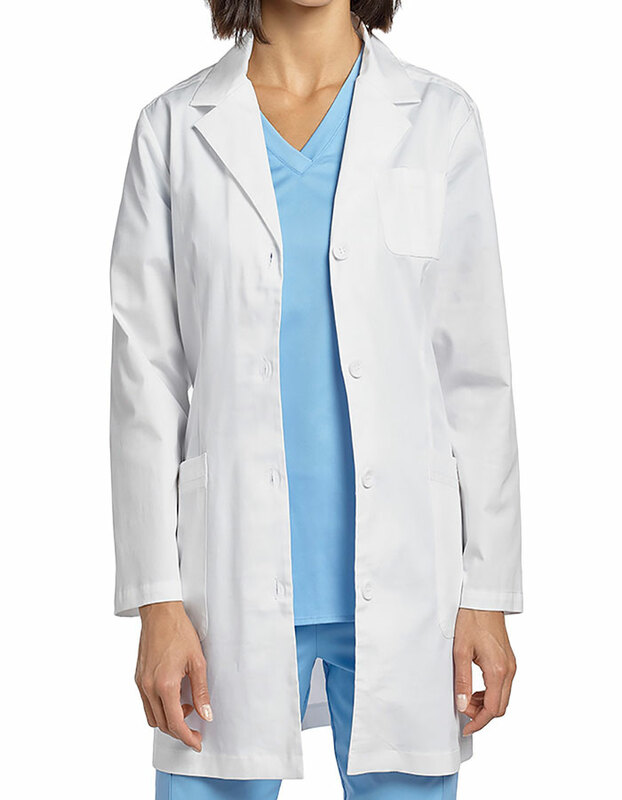 It renders a button placket closure, long sleeves with coverage, cotton webbing detail on shoulders and back and back belt at waist for an adjustable fit. 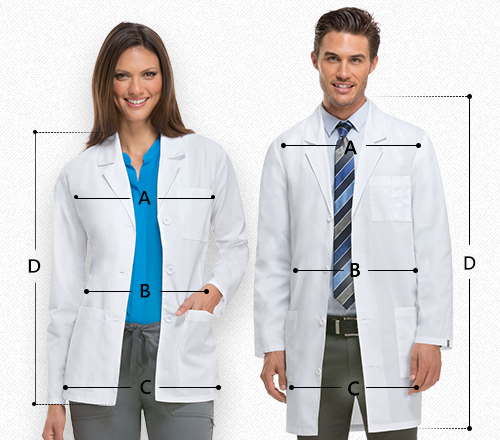 Two front patch pockets and single chest pocket allow for storage while the shirttail hemline completes the look.